In times of full employment, New Zealand growers have had difficulty finding enough local workers to plant, weed and harvest their crops. Since 2000 they have become increasingly reliant upon a temporary immigrant labour force to supply seasonal labour. 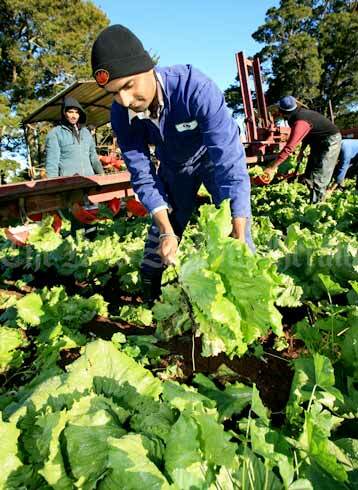 Shinda Singh, pictured here picking lettuce at Patumāhoe, near Pukekohe, was one of a team of mostly Pacific Island immigrant workers working in market gardens in 2006.